The Aurora 4K+ camera is based on a 12.6 MPIXEL (4096 X 3072) .968 x .726 BAYER CMOS image sensor which allows the camera to capture full frame equivalent 35mm sized images. 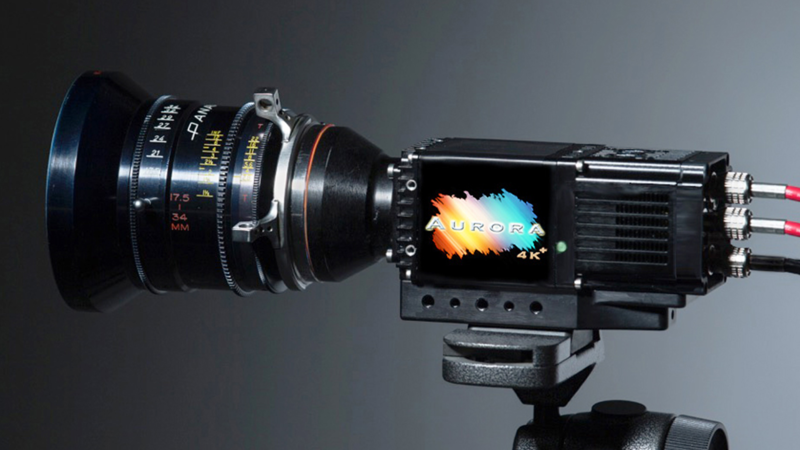 What this means is that the Aurora is one of the only cameras in the world that can capture true anamorphic images (see Appendix).What is also unique is that the sensor is larger than most professional imagers, which are typically 4096 x 2160 (4K) or 3840 x 2160 (UHD). It also means that it is one of the only cameras that can record images for production companies with the new 4K mandate (NETFLIX, DISCOVERY etc). Another great advantage the camera has over its competitors is its native global shutter which allows all pixels to fire at the same moment in time as opposed to a rolling shutter were pixels fire from top to bottom (see Appendix). This is all incorporated in a camera body that is 2.35 x 2.35 x 7in and weighs 2 lbs. The camera is controlled by a custom Android App and records to standard off-board recorders. 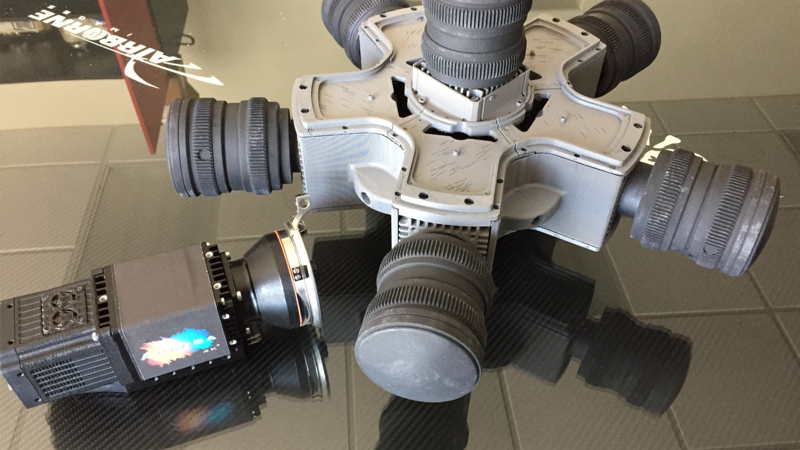 The design for the first phase VR/AR camera system consists of 6 AURORA 4K+ camera heads where 5 cameras are on the horizontal plane with one recording the top. Phase two will have 5 total cameras reconfigured in a new housing configuration. All with a nodal diameter of 14″ and less than 15 lbs (excluding lenses). AURORA 4K+ The motion picture industry demands high end camera systems in order to tell the stories that storytellers want to tell and audiences want to see. The most common cameras used today are expensive to rent or purchase. They can range in cost from $36,000 for a RED EPIC to $80,000 for an ARRI Alexa. AURORA will price and market itself as an alternative “C” camera to compliment the more expensive cameras especially where it would be a financial decision to place a less expensive camera in harms way (i.e. second unit work). Current cameras used in those type of situations are typically not high end cinema quality but are only tolerated because of available options. For other verticals, there are very few competitors (due to size and cost vs resolution). For the high end cinema world, the typical system consists of multiple RED or ARRI mini systems that are kluged together on a mounting plate. The value of these cameras can be upwards to $250,000+ each (price to own cameras only) and weigh 120+lbs. The comparable AURORA VR system would cost under $80,000 and weigh under 50 lbs.